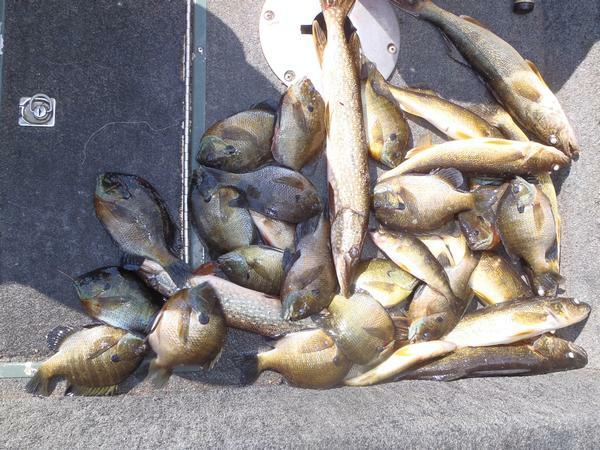 In the search for shallow walleyes yesterday, we found walleyes and ran into a mess of nice bluegills. 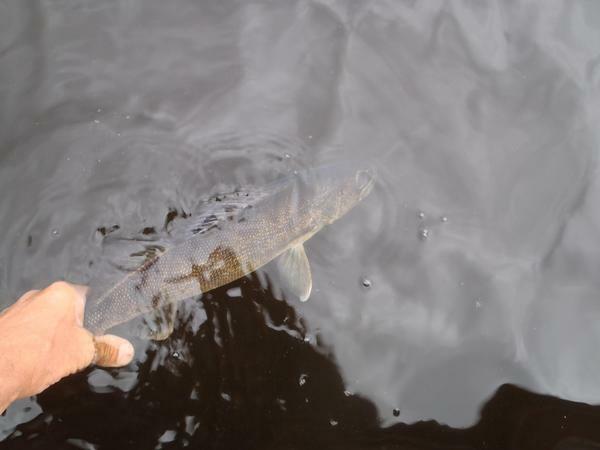 We caught a lot of them, it was easy to select out mostly male fish, the females on the flowage are the less colorful fish and the eggs are apparent. The males if squeezed will show the clear milt unlike that of a walleye. We stopped a little short of our limit, can't really see the need to keep more fish then shown in the picture (that's also as many fish as I care to clean at the end of the day). I think the 10 fish limit on the TFF is helping to create a growing population of nice sized pan fish. We found them in some snaggy wood in 4-1/2 fow. 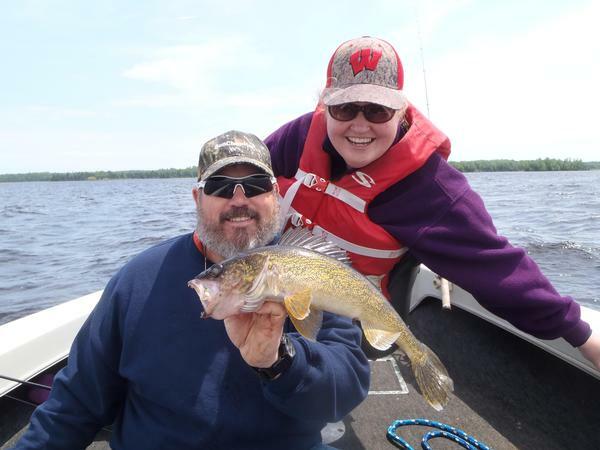 The last couple days we have started catching walleyes on crawlers though minnows are still working well.